We make the divorce process in Utah simple, fast and affordable. START HERE - Let's begin your divorce! What City and State do you reside in? How Long have you resided in this State? What is your spouse's full name? Do you know your spouse's address? No, my spouse's address is unknown. Is your spouse active military? Do you have any children with your spouse? How many children do you have under 18 years? We never sell "automated" divorce forms, only documents prepared by an experienced divorce specialist. Our experienced Utah divorce team will review your information and prepare divorce papers specifically for your needs. Divorce specialist for Utah handles your case. Every customer is backed by our 100% Court Acceptance Guarantee. We stay with you through the entire process, to help guide you through the Utah divorce process. Over 20 years experience filing divorces in the Utah court system. 100% Court acceptance in the Utah District Court. Fast Process. Submit your order today and file your Utah divorce tomorrow. Information on filing a divorce in Utah. When we prepare your Utah divorce papers, we will include all the provisions specific to your situation, whether it be for the division of property and debts, child custody, support or name changes. We ensure that your divorce forms are ready to sign and file with the court in Utah. A Marital Settlement Agreement is included for free. A divorce filed in the State of Utah is a fairly simple process. We will provide step-by-step instructions, and our support department is always available to help you complete your Utah divorce filing. You must be a resident of the State of Utah for 90 days before you can file a divorce. A person in the military stationed in Utah must reside in Utah for 90 days before filing. Property and debt distribution in Utah is based on equitable distribution. Alimony is dermined by the Judge's descretion, taking into affect the length of marriage, age of spouses, earning capacities, amoung other factors. Utah courts approve our divorce forms. You can file with confidence. Your children are the most important part of a divorce. We carefully prepare the custody provisions of your divorce papers to make sure all the specific information you request regarding the custody of your children is properly written in your divorce papers. We will include all the provisions for child custody, visitation and support pursuant to the laws in Utah. Utah Child Custody, visitation and support. 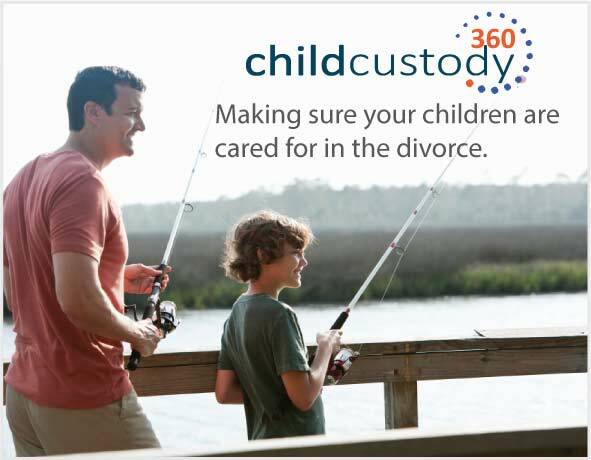 Most couples are in agreement with the custody of their children. This is usually the best for your child(ren), as the parents have the knowledge to know what is best for the child(ren). If the court's get involved to make decisions, the court's in Utah consider factors such as the physical, emotional, religious and social needs of the child. In our questionnaire, we will ask you questions about the custody of your children, including who will be the primary custodial parent, visitation and support. This allows to to properly prepare the custody provisions of the divorce forms that will be filed with the court. In a small number of cases, one parent will need special provisions, such as supervised visitation, or provisions for out-of-state travel. We will include all these necessary provisions. Child support in Utah can be an agreed upon amount or it can be pursuant to the Utah child support guidelines. The Utah child support guidlines takes into consideration the income of both parents, the parenting time, and determines the amount of support to be paid by the non-custodial parent. If you have property and debts which have been acquired during the marriage, we will make sure the property division is outlined in your divorce documents. We will include an Utah Marital Settlement Agreement to outline the division of the marital property and debts, including homes and investment accounts. 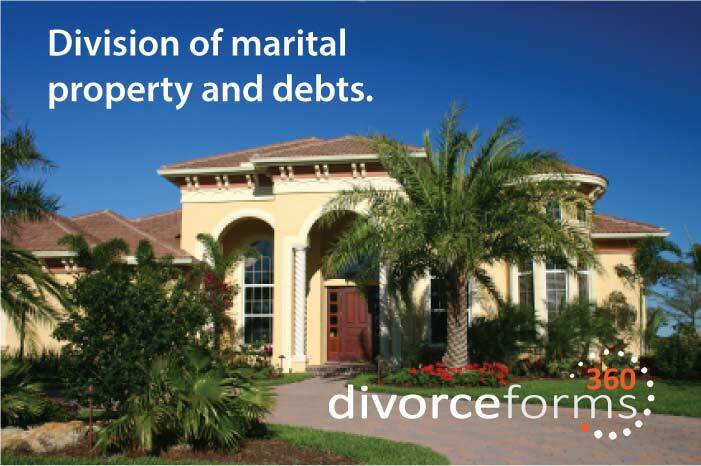 Division of marital property and debts. Utah is an "equitable distribution" state, meaning the marital property and debts are divided in a manner deemed most fair by the court. Many customers have been separated and have already split their property, and made decisions on how the debts of the marriage will be paid. Although most customer have already divided property, and don't require the divorce forms to include any division of property or debts, we can get as detailed as necessary. We handle the division of multiple homes and/or investment properties if needed. When the parties can't agree on the division of property, the courts in Utah will follow equitable distribution laws. The questionnaire above will allow you to open an account and start the divorce process. Our experienced Utah divorce team will prepare your filing documents and send them to you ready to sign and file with the court. SIMPLE 3-STEP PROCESS: Complete the questionnaire, then review and sign your Utah divorce forms, and file with the court. Our step-by-step instructions will help guide you through the process. Whether you have a simple divorce with no property or children, or a more complicated divorce, with alimony, children and property, your documents will be complete correctly and ready to present to the Court. With more than 100,000 court document prepared over the past 20 years, we have the experience to make sure your Utah divorce papers are correct. Our Utah divorce team will make sure your documents are ready to file. We will prepare your document right - All for only $149. You can file with confidence, we back every customer with a 100% money-back court acceptance guarantee. Our detailed instructions make the divorce process simple. Begin your Utah divorce today.